What is holding you back right now? What is it that is making you stay in a job that you hate? Or with a partner who is abusive? Or why is it that you are constantly broke? Many people find themselves stuck in situations that make them unhappy – that is not unusual. What is unusual, however, is that very few of them choose to deal with their issues directly. They feel like it is their lot in life to be stuck and there is nothing that they can do about it. This is simply not true; there are lots of inspiring examples of people who have come back from terrible circumstances and found themselves happy again. If you want to do the same you have to uncover your demons – find out what is holding you back and deal with it appropriately. 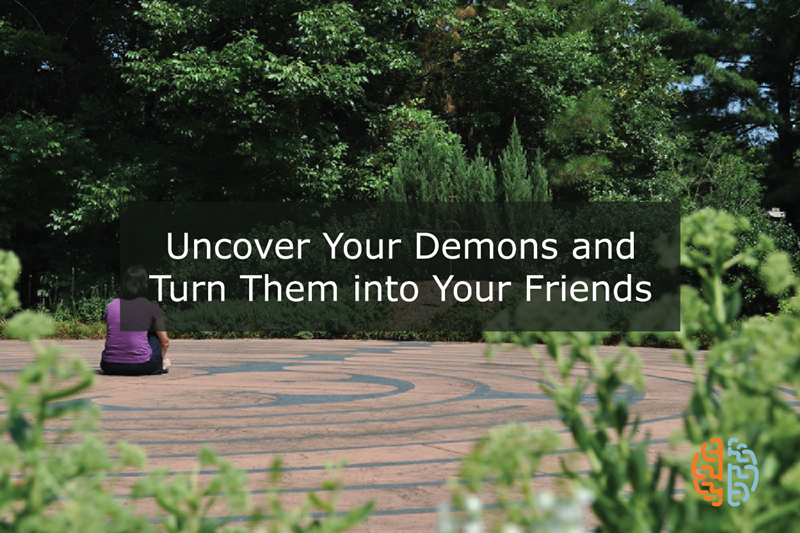 Uncovering demons is something that all of us can do using guided meditation and guided imagery. It requires that you confront what is holding you back and then visualize yourself experiencing the positive change that you want in your life. Guided imagery has been used for a long time and it has amazing results. If, for example, you are unable to find love your thoughts might dominate on the fact that you are unlovable. This kind of thinking will stop you from finding a good relationship – the negativity alone is enough to stop you from meeting someone to share your life with. You have to start thinking of yourself as a beautiful, lovable person who can also give love to another. The positivity will encourage you to make yourself more attractive and go out and meet people. Before long you will find yourself in a loving and satisfying relationship. Guided imagery and guided meditation can be mastered easily if you are keen enough. All you need to do is find a few minutes alone every day in a room or a place where you will not be interrupted. Sit comfortably, close your eyes and then imagine yourself enjoying the change that you want. You may find your thoughts straying – this is normal. Just guide your thoughts to whatever it is you want to experience. Over time you will find that it becomes easier and easier to focus. You can turn the negatives in your life into positives with guided imagery and guided meditation if you are prepared to try.